If you know me then you know I love to take pictures and I love to scrapbook. I love paper and all that goes with it. It's my passion. 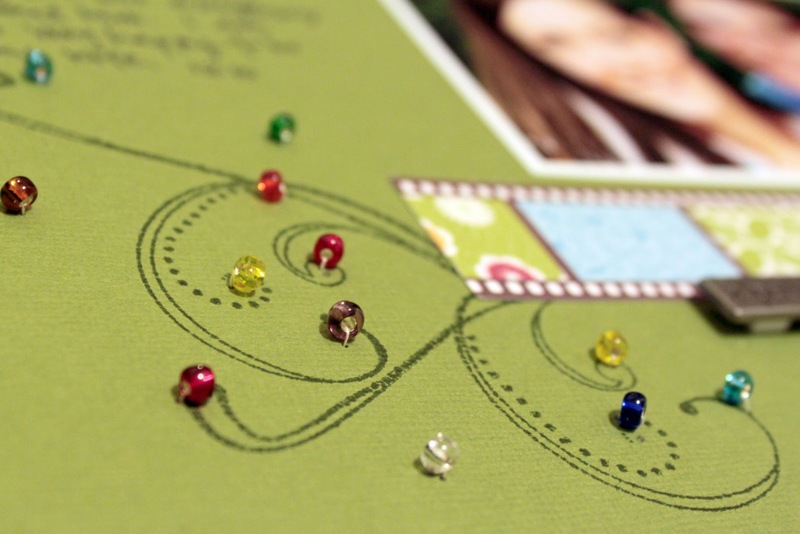 About a month ago, I set out to find some exposure in the scrapbooking world. I found a website that posts current calls for design teams and challenges and came across an opening at Scrap Again. I decided what the heck! I'll apply to be on their design team. Sure enough, a few weeks later I got a call from Randi, one of the owners, telling me I had been chosen. I was ecstatic! From that point I was checking the mail every day waiting for my first set of kits to arrive so I could actually start "designing." When I got home yesterday, the box was sitting on my front porch. I could hardly wait to put the pretties to use, so that is what I have done. Thank you Taraleigh!!! What a beautiful and clever way to incorporate the beads! We are sooo lucky to have you this year! Woo-HOO!! Way to go Taraleigh! !